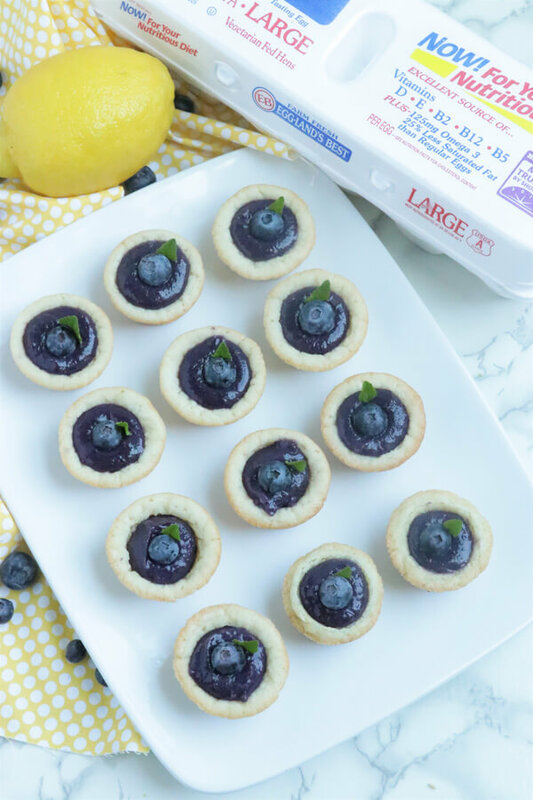 Sweet, tangy and bursting with flavor, these simple and fun Wild Blueberry-Lemon Curd Cookie Tarts are a cute addition to brunch, a shower or a dessert buffet. This post is sponsored by Eggland’s Best. All opinions are my own. 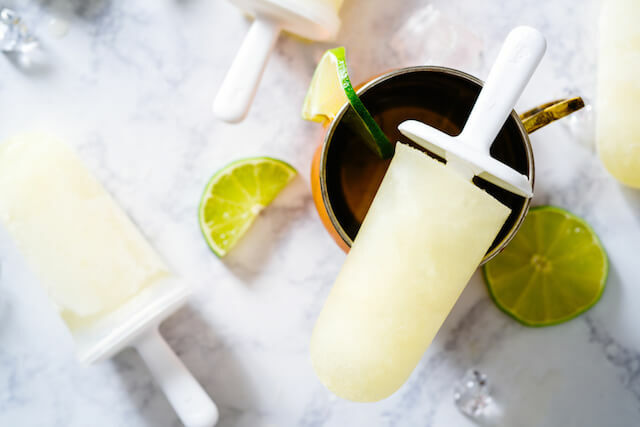 We entertain quite a bit throughout the summer which means I try always try to keep ingredients on-hand that can be whipped into a simple appetizer or dessert at a moment’s notice. 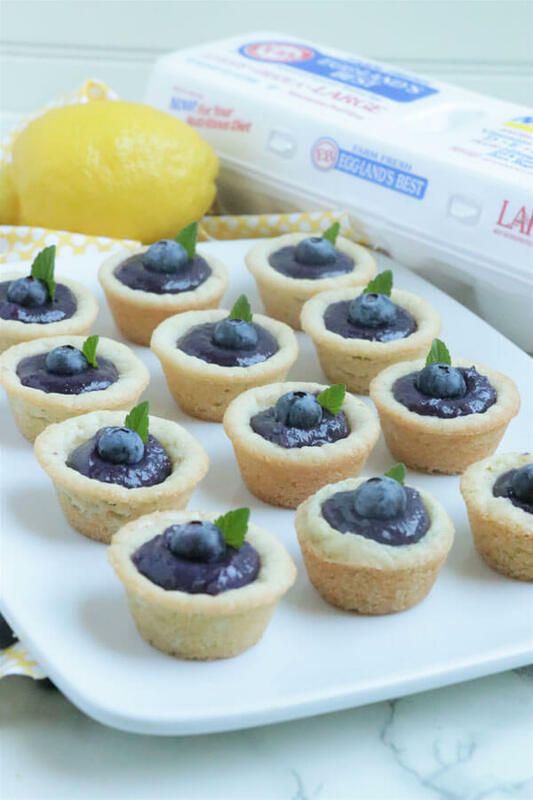 That’s why I love this recipe for Wild Blueberry-Lemon Curd Cookie Tarts because the different components can be made ahead and then assembled when needed. 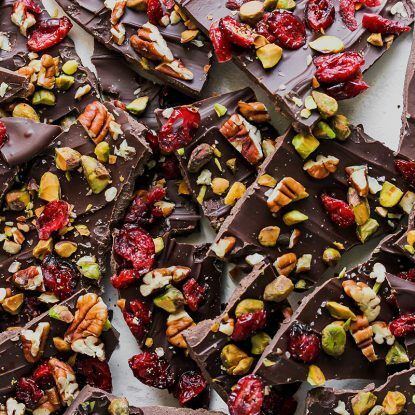 As you know, I’m not afraid to take a shortcut or create some clever swap ups when I need to which is why I’m using the “ready to make” refrigerated cookies versus making my own cookie dough. Don’t get me wrong, we love making homemade cookies in this household but when I need something fast, the refrigerated version is a nice option. 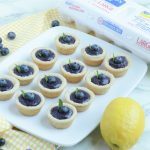 Plus, you can make the cookie cups ahead of time, let them cool and then freeze in an airtight container until you’re ready to fill them with the sweet wild blueberry-lemon curd. If you’ve never made lemon curd before, I encourage you to give it a try. It’s such a nice ingredient to have in your refrigerator for topping everything from ice cream to pound cake. 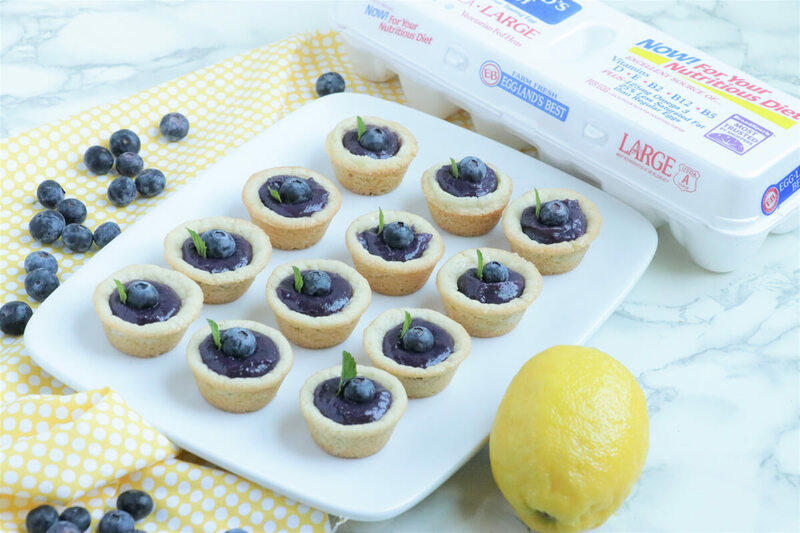 For my simple stovetop wild blueberry-lemon curd, I’m using Eggland’s Best eggs which offer six times more vitamin D, 25% less saturated fat and more than double the omega-3s compared to ordinary eggs. Since I’m already using a superior ingredient like Eggland’s Best eggs, I decided to give the curd a flavor boost by using wild blueberries over regular blueberries. You can find wild blueberries in the freezer section of most grocery stores. These tiny little berries have double the amount of fiber and a more intense blueberry flavor. This recipe will yield extra wild blueberry-lemon curd so be sure to store it in an airtight container in the refrigerator. 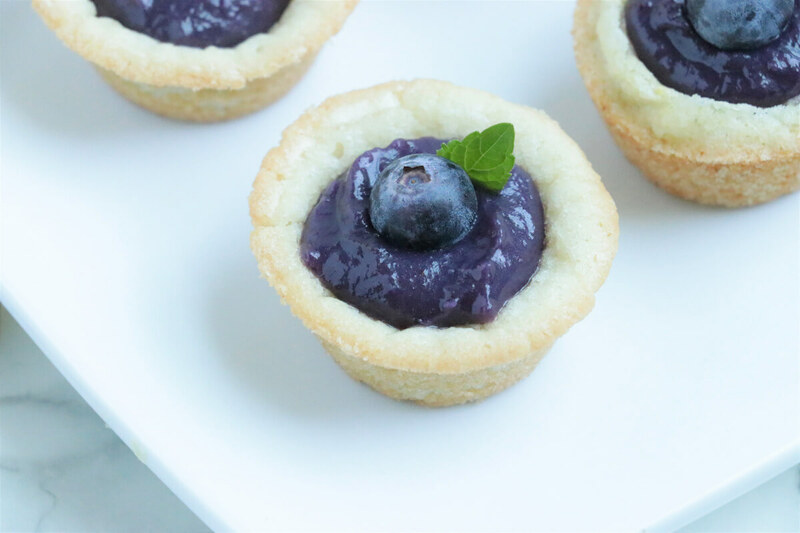 These adorable tarts are sure to be your go-to dessert when entertaining this summer. Combine wild blueberries, lemon zest, and lemon juice in a medium heavy-bottomed saucepan. Bring the mixture to a boil, lower heat and simmer until the wild blueberries are soft and burst (around 5 minutes). As the berries cook, press with a spoon to break them apart. Strain mixture through a fine mesh sieve into a bowl making sure to press pulp with a spoon to extract as much juice as possible. Discard pulp. Add wild blueberry-lemon juice, eggs, sugar and salt back to the saucepan over medium-low heat and whisk until combined. Add butter and whisk constantly until the mixture is thick and coats the back of a spoon (about 7-8 minutes). Remove from heat, pour into a bowl and allow to cool for 10 to 15 minutes. 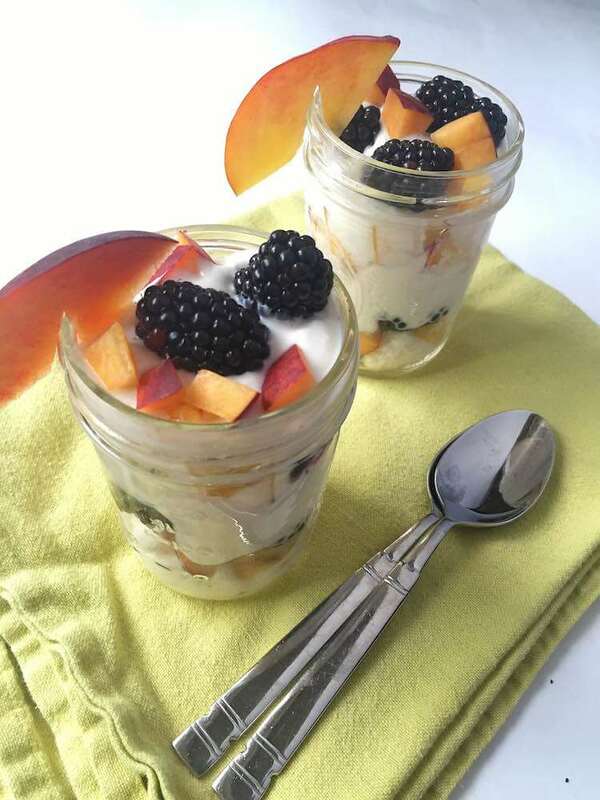 Store curd in an airtight container in the refrigerator until chilled. 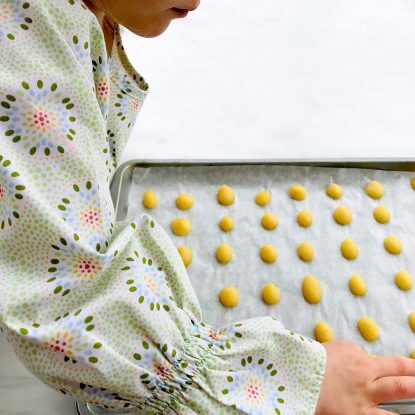 To make the cookie tarts, shape cookie dough into 24 balls. 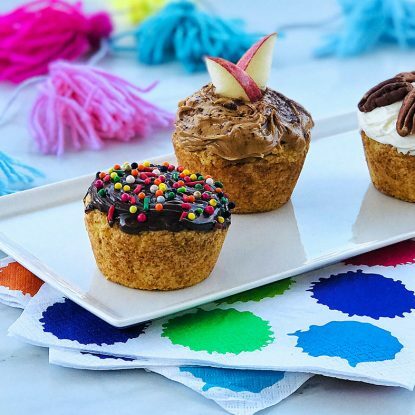 Place individual balls into mini muffin cups. Bake at 350F for 10-12 minutes or until set. 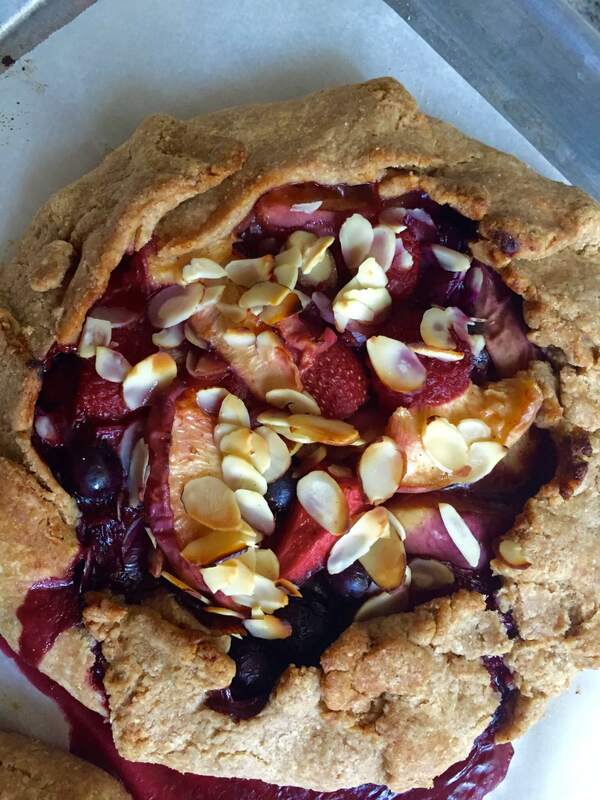 Immediately press a deep indentation into the center of each tart forming a well to hold the wild blueberry-lemon curd. Allow tarts to cool in the pan for 5 minutes then remove from the pan and cool on a wire rack. To assemble the tarts, spoon curd evenly into center of each cookie tartlet. Garnish as desired. *Note: There will be extra wild blueberry-lemon curd. Store in the refrigerator in an airtight container. Sugar cookie tarts can be doubled by using entire tube of dough. **Use the round end of a wooden spoon, a measuring spoon or pizza cutter to form a well into each cookie. 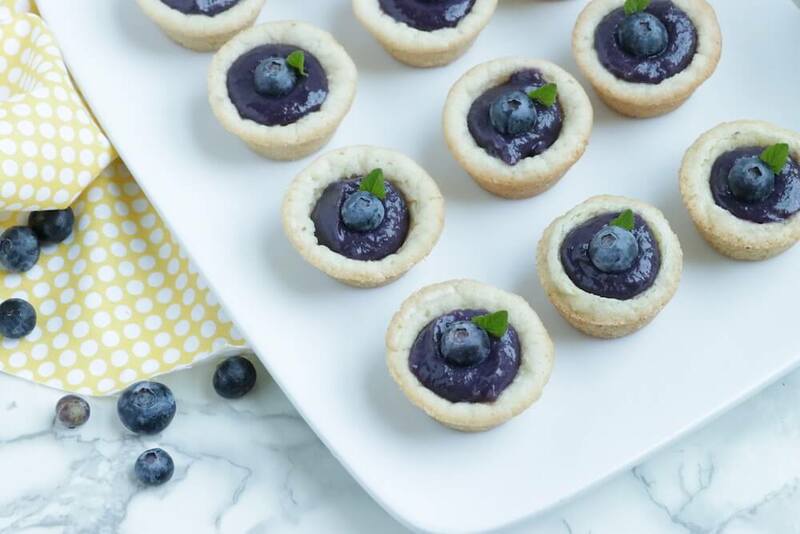 These blueberry tarts are delicious, but when filled, put in an airtight container and stored refrigerated for a few hours, the filling started to bleed into the cookie and eventually soften it. Is there something I could do to prevent this? This is a great question. I would recommend keeping the filling and cookie cups seperate and then filling when you’re ready to serve. I have also found that the curd will leach into the cups after a day or so. I’ll make sure to edit the post/recipe to be sure that it reflects this. My favorite thing to do is to make the cookie cups ahead (usually a double batch), let them cool completely, out in an airtight container and freeze. Then when I need them, I sit them out on the counter for an hour or so to defrost.